Of this song. Is your love big enough for what’s to come? It most certainly is! – I am a huge fan of Loeffler Randall and these Luella Mignon sandals in electric purple are at the top of my wish list. Would go just perfect with my favorite white shirt/blue jean combo, don’t you think? – One of my go-to spring/summer shoes has always been a pair of espadrille’s and this pair from Calypso are spot on. – All winter I was searching for the perfect black booties and lucky for me I finally found them just in-time for spring. These Rag & Bone are on their way to me now and I can’t wait to pair them with my black shorts and Joie lace top. A little edgy for this island girl! – The ballet flat is a staple in my closet and these little beauties from Aerin Lauder’s new line are a welcome addition indeed. Will pair perfectly with my sundress collection. – One for one… yes, please! The classic Tom’s slip-on in festive pink… will live in these this spring! 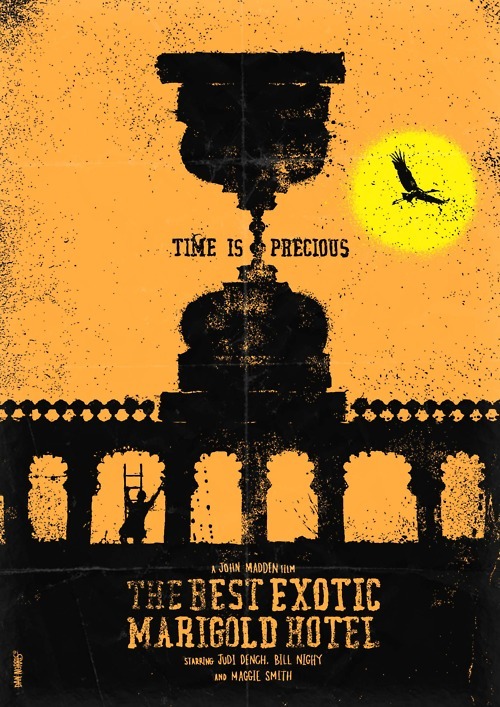 There are oh so many things to love about this film: the delightful cast, which includes just a few of my favorites from Downton Abbey (Maggie Smith and Penelope Wilton); the setting of the Pink City (Jaipur, India); and last but not least the beautiful story of starting over in a foreign and exotic land. One of my favorite scenes is when Judi Dench’s character Evelyn is consoling Sonny (Deb Patel from Slumdog Millionaire), who is beside himself for having to walk away from his true love because of his mother’s wishes. Evelyn makes it quite simple and reminds him “you can have anything you want… you just need to stop waiting on someone to tell you that you deserve it.” So very true indeed! I just love this look. The simplicity of a beautiful white blouse with crisp jeans… if I had to pick a uniform, it would surely be this! When I saw this photo of Miranda Brooks in January’s Vogue I thought, perfection. 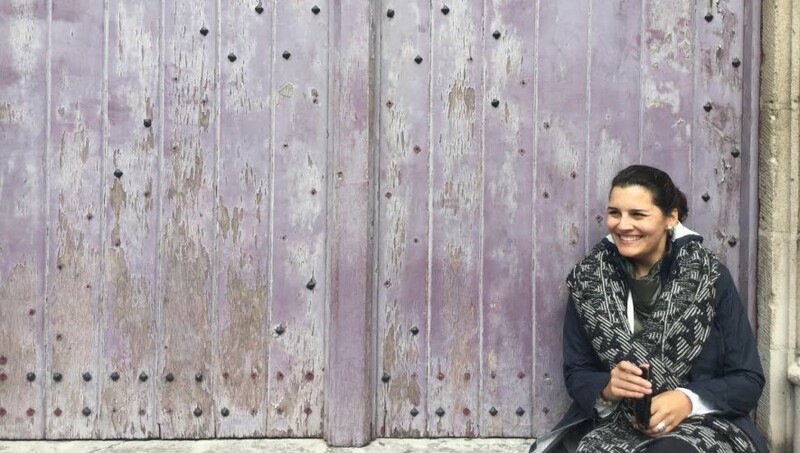 A little classic… a little boho… what I strive to be! Here are a few of my favorite white blouse finds along with my go-to denim choices. – Saw this top in April’s InStyle. With turquoise beads… my summer go-to. – Diane outdid herself again with this little beauty. – J.Crew has been hitting it out the park with their recent collection… love this lace top. – Some of the best skinny jeans I have tried. Hope you all have a lovely first weekend of Spring! Mix it all together and let me tell you, delicious. 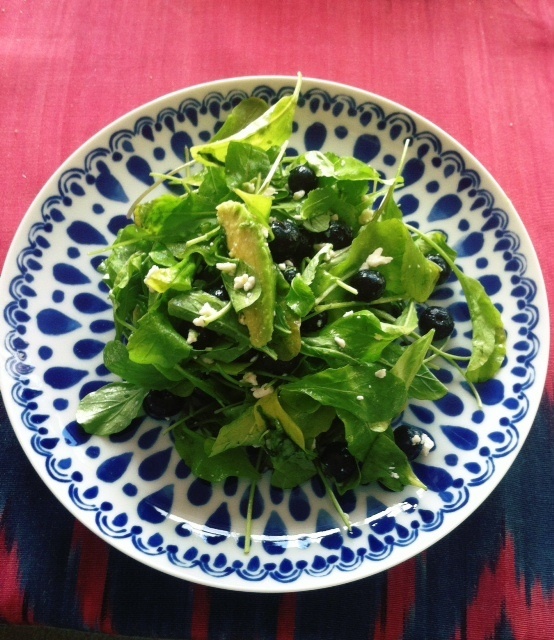 You could add grilled chicken on top and substitute fresh strawberries for the blueberries too. One little side note: I tend to make my own salad dressings because I think it is one of the easiest things in the world to do but Brianna’s blush wine vinaigrette is one I haven’t been able to make at home. This stuff is amazing. 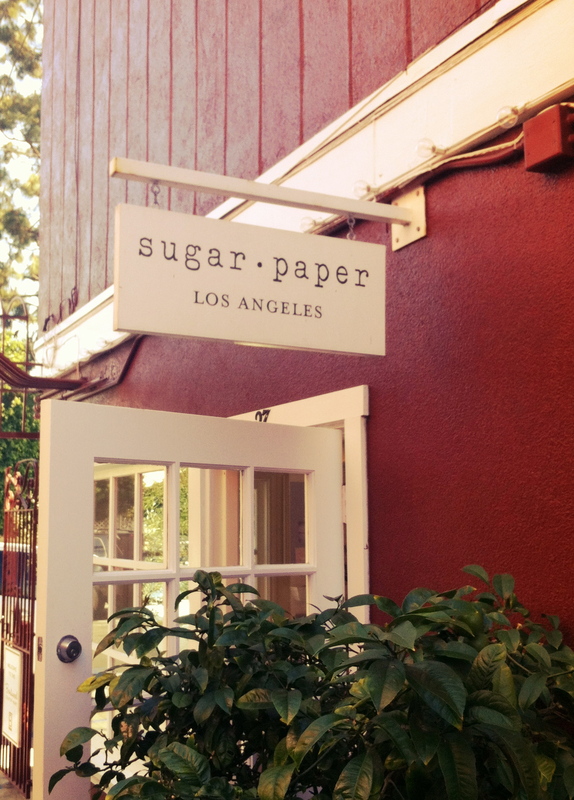 During my recent jaunt to L.A., I was able to finally visit one of my favorite letterpress companies, Sugar Paper. 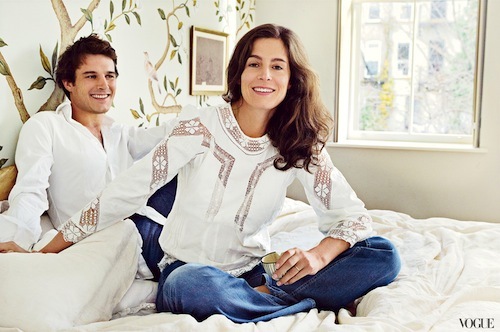 I was first introduced to the creative genius of co-founders Chelsea and Jamie in InStyle Home’s April 2004, which had a beautiful feature on Reece Witherspoon’s home and showed her impeccable stationary set by Sugar Paper. The simplicity of their designs and the quality of their paper stock is just perfection. And lucky for us, today they are spoiling us with a 24 hour sale… 20% off their entire site (enter discount code Spring20 at checkout). – This adorable Easter card is currently on its way to me. – This luxe bicycle noteset is perfect for an island girl like me. – These thank you cards accompanied me back to the island. – This heart print would be the perfect addition to my gallery wall. – And don’t forget Mother’s Day and Father’s Day are right around the corner! Do let me know your favorite items. Until next time, happy shopping! I am still a little turned on by the kiss that Jess and Nick shared a few weeks ago and then tonight’s episode. Did you see? Will Season 3 feature a new romance between my two favorite characters? I only hope so. 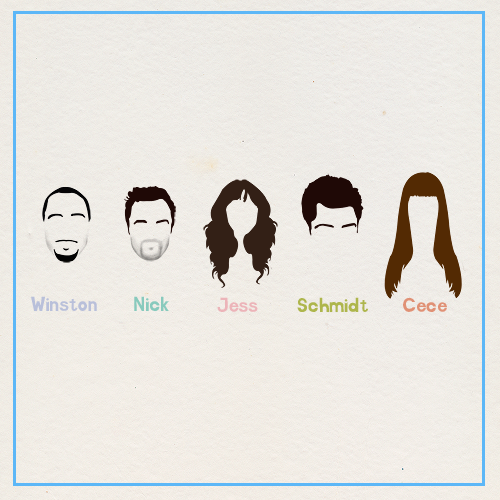 Jess + Nick forever! Music is certainly my therapy. If I’m feeling a bit blue, I just need to hear Least Complicated by the Indigo Girls and instantly a smile returns to my face. I love how you can hear a song that brings you right back to a moment you never want to forget. To get us through what I feel is the longest month of the year, I thought I would put together some of my favorites. Enjoy! 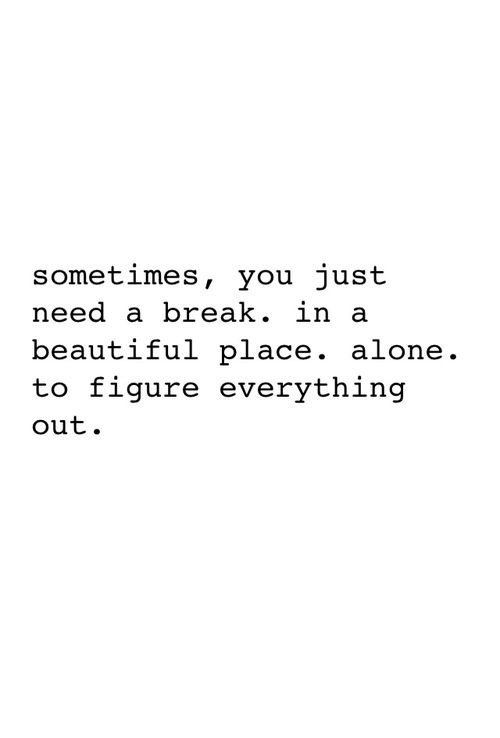 Today I realized a very important thing… I am exactly where I need to be! This little bath set, which includes one hooded terry towel and one 100% cotton muslin washcloth, is just too cute for words. Exactly what you need to make bath time oh so fun! Serena and Lily is a go-to for all things baby. Their bedding, nursery furniture… it’s what dreams are made of. This safari blanket (available in three colors) is perfect for stroller rides, tummy time, or to just adorn the crib. S&L collaborated with the acclaimed Austrian textile company David Fussenegger to produce this oh so soft flannel blanket. Adorable and free trade…doesn’t get much better than that. These little slippers are 100% natural wool from local, free range sheep crafted by Chileans in rural regions of Patagonia. Perfect for a hipster baby in the making! I always love sending along a piece of art for the nursery. This little whale plaque just makes me smile too! Who doesn’t love receiving an iconic Tiffany’s blue box? This little elephant earthenware bank is just the sweetest and will also instill the importance of saving at an early age! This is a gift that I would even love to receive… a collection of eight classic children’s stories with the most whimsical book covers illustrations. And the presentation… perfection. The set includes Black Beauty by Anna Sewell, Peter Pan by J. M. Barrie, The Call of the Wild by Jack London, The Wind in the Willows by Kenneth Grahame, The Adventures of Robin Hood by Roger Lancelyn Green, The Secret Garden by Frances Hodgson Burnett, The Adventures of Huckleberry Finn by Mark Twain, and Anne of Green Gables by L. M. Montgomery. I was first introduced to Jeannie Payer in 2001, when I received her Jacob ring as my college graduation gift. To this day, it is still my favorite piece. This beautiful first tooth box is adored with a quote from J.M. Barrie: “When a new baby laughs for the first time a new fairy is born, and as there are always new babies there are always new fairies.” A piece that will certainly be passed down for generations. And to all my dear mommy friends, you inspire me every minute of everyday!